With beautiful shapes and simple lines, contemporary style furniture celebrates the here and now. This dynamic furniture style constantly adapts to reflect the latest developments in furniture design. Ever present within contemporary furnishings are strong lines, smooth profiles and a focus on comfort. The appeal of contemporary furniture design began to emerge during the 1950s, offering a simplistic design that utilized modern materials. Contemporary style embraces the idea of “less is more” with very little carving or ornamentation visible within the design. The focus on the understated combined with superior craftsmanship goes hand in hand with Amish furniture making principles resulting in furnishings that stand out in open spaces. Characteristics of contemporary modern furnishings include clean lines, soft edges, simple arm and chair legs and gentle curves. The contemporary supports both the formal and informal without ever being flashy. Contemporary furnishings exude comfort with an open mind that’s ready to incorporate exciting design elements that are yet to come. 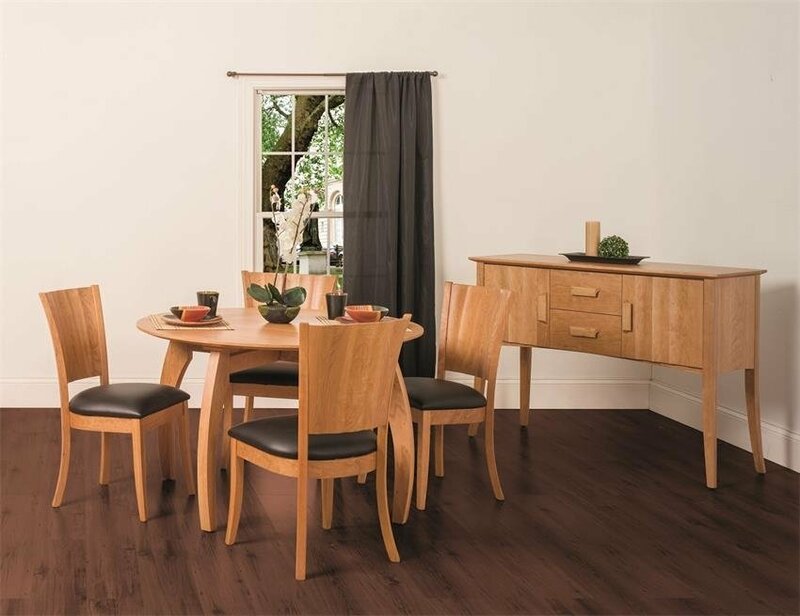 Amish made furniture from DutchCrafters proudly offers contemporary furniture for all areas of your home. From sleek bedroom sets to elegant dining room furniture to your cozy living room furniture, we offer the energy of a contemporary design that is built to last.